Instant Pot Irish Stew is the real deal, a classic rich stew made with lamb, potatoes, root veggies, cabbage, and, of course, a good dose of Guinness. Only instead of simmering long hours on the stove, this stew cooks in just 30 minutes! 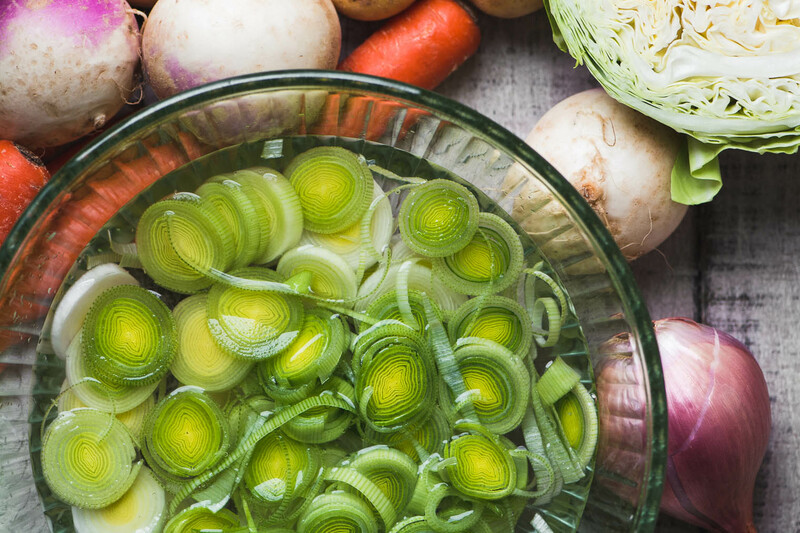 I love to use leeks in my stew, along with peppery turnips in addition to the carrots and potatoes. Lots of potatoes. 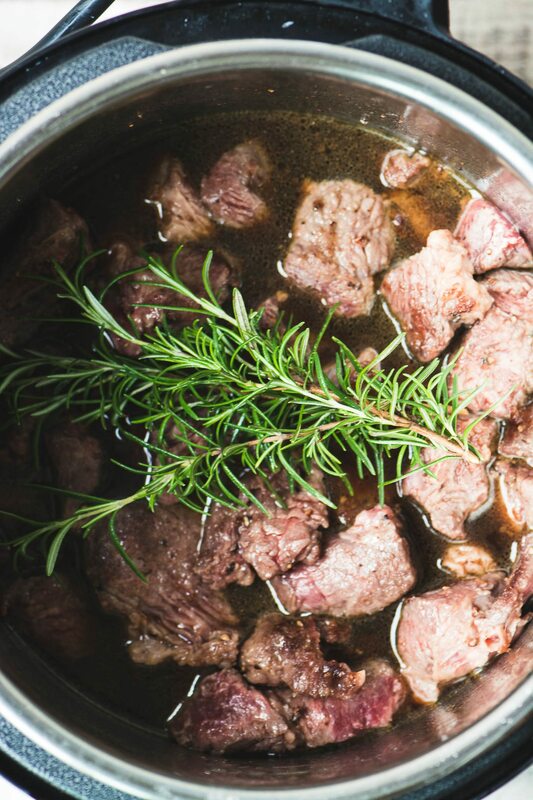 Worcestershire sauce enriches the beef and Guinness broth that forms the backbone of this stew. Traditionally the secret to a great stew is a long, slow simmering on the stove top or in a low oven. Over time the meat becomes fork tender and the flavors develop. The high pressure in the Instant Pot accomplishes this same effect in a fraction of the time. The beauty of the Instant Pot is that you can brown the meat right in the pot, which makes it super convenient and cuts way down on mess and clean up. Do as the Irish do and smash some of the potatoes as you eat to sop up the rich broth. And definitely pair this with some great soda bread, like my IRISH OATMEAL SODA BREAD. Toss the meat with the flour, 1 tsp salt, and 1 tsp pepper to coat. Set the Instant Pot to saute and add 1 Tablespoon of the oil. When the pot is hot, brown the meat on all sides, working in batches so you don't crowd the pot. Add the rest of the oil as necessary. Remove the lamb and set aside. Add the Guinness to the pot and scrape up any browned bits from the bottom. Press cancel. Add the meat back into the pan along with the stock, Worcestershire sauce, bay leaves, and veggies. Add the bundle of rosemary or thyme. Close the lid, lock, and set the vent to the seal position. Pressure cook on high for 30 minutes. When the machine beeps, let the pressure release naturally, this may take 15 - 20 minutes. Add the cabbage to the stew and stir well. It will wilt in the heat of the stew. Meanwhile make a paste of the butter and flour, and when the stew is done, blend it in, stirring well, to thicken the broth slightly. Taste to adjust seasonings and serve with lots of chopped parsley. You may want to use a dash or two of gravy browning sauce like Kitchen Bouquet if your broth is not as deep as you'd like. Made using pork and Brussel sprouts. Followed rest of recipe (found baby golden potatoes on sale so had lots of them!). 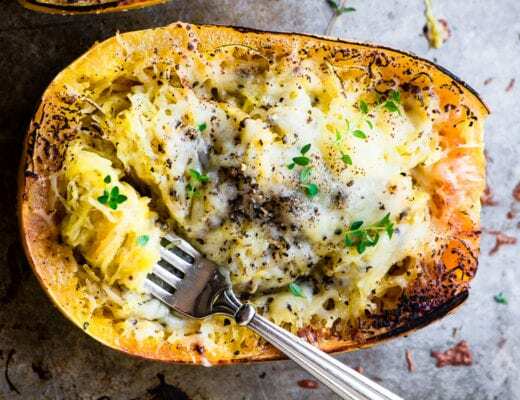 Great recipe for the instant pot. Thanks so much. Lovely stew and beautiful photos! This looks so good…and your photographs are amazing!! 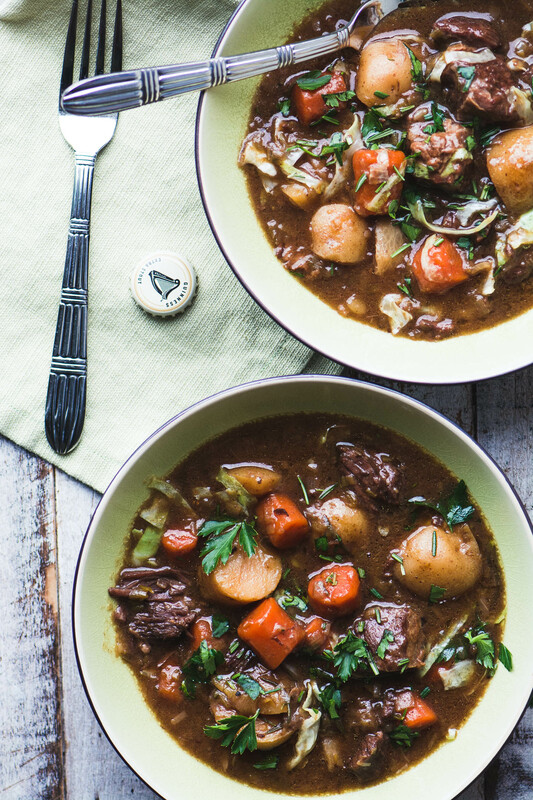 Oh, this Irish Stew looks perfect for our stormy Houston weather right now. We are celebrating with the downpour of rain we are experiencing. I am hooked on Downtown Abbey as well but we don’t have cable so I need to figure out how watch this Season 2. Totally correct about the trite acting but somehow engaging nonetheless. Once again, we are thinking alike. We’re having stew for dinner tonight! Your photos are gorgeous, as always, Sue. These photos remind me of my time spent in Ireland. Don’t love soda bread?! I’ll have to let that slide ;) What about brown bread? PS love Downtown Abbey can’t wait for the series to return downunder! 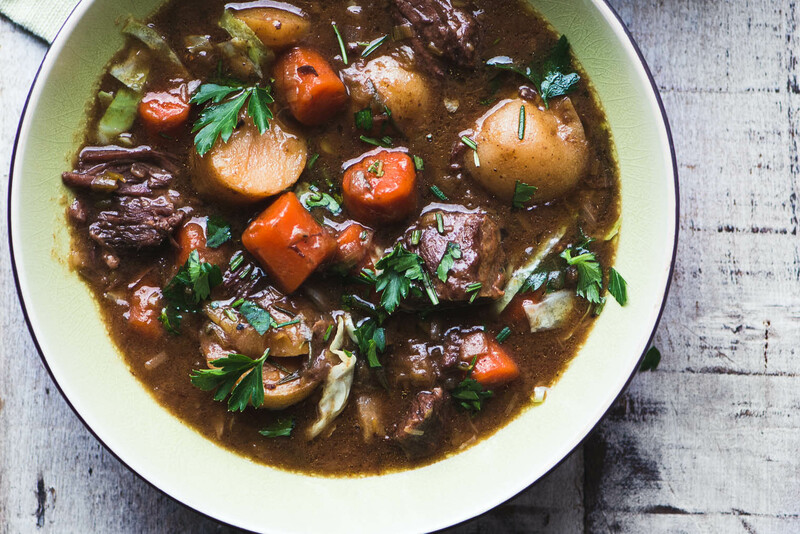 Just too hot here for stew at the moment but I do love a good Irish Stew – I haven’t made one for ages and your photos are so inciting I will have to bookmark this one. I was initially excited about Downton Abbey, but it got a bit stifling after about 20 minutes. Maybe I’ll give the second season a go. Great looking stew! 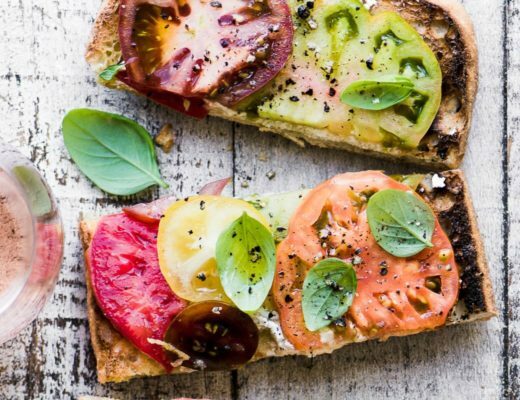 This looks delicious and I will definitely try it out. That’s a very good idea to add the vegetables an hour after you start cooking, I will do that the next time I make beef stew. Just a few days ago, I made a beef stew based on Nigella’s recipe for steak & kidney pudding (in “How to be a Domestic Goddess”). I skip the kidney and add potatoes and carrots instead, and then use her pie crust recipe, to make beef pot pies. Love Downtown Abbey but would love a bowl of this stew more – delicious! I agree with you about the debates, and to think this is going to go on through November! But, I’m a HUGE Downton Abby fan LOL! Your stew looks delicious, but hubby wouldn’t eat it with lamb . . . so I have to use beef in my stew. I made your gingerbread pancakes this a.m. – delicious! Hubby loved ’em! Oh I am a huge fan of Julian Fellowes and his Downton Abbey is just my cup of tea! 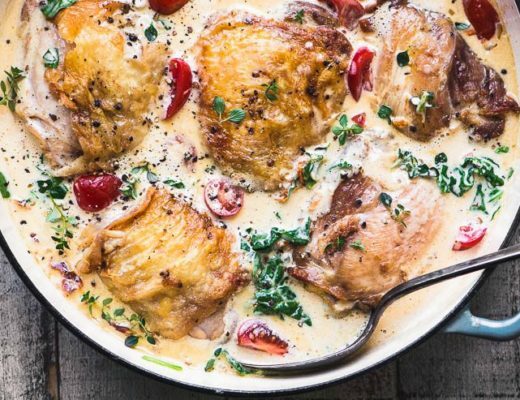 I put turnips in my version of this satisfying dish.